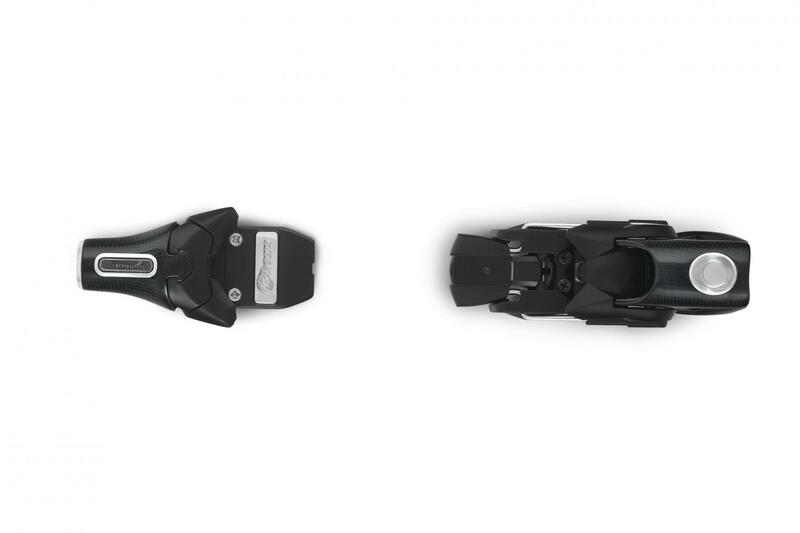 Racing technology at its minimal form. 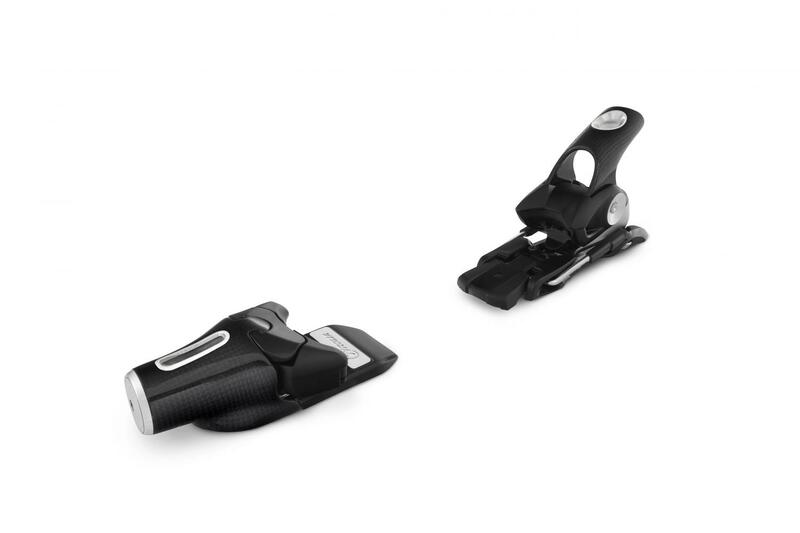 The central design feature of this binding is the minimal surface of the toe, that results from the combination of the spring housing with the brackets that hold the shoe. 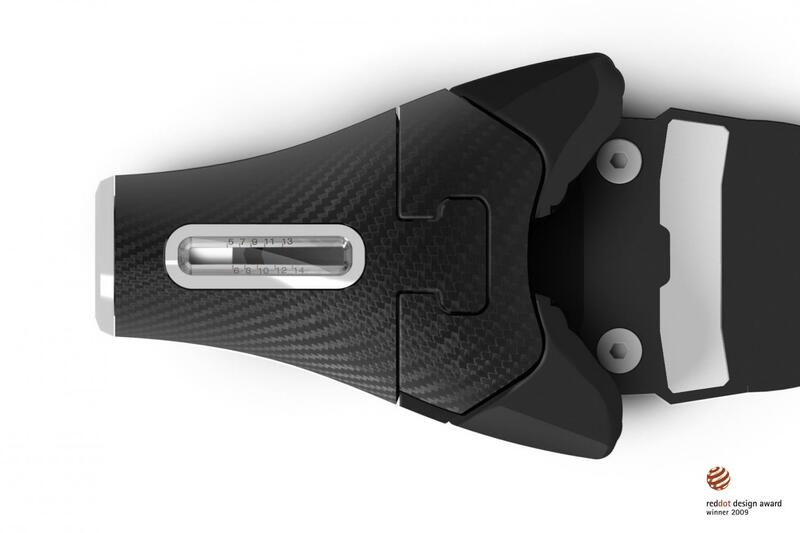 This formed the carbon-fiber monocoque, which viewed from above, reminds of the archetypal "Y-shape" of the first mechanical cited alpine bindings, yet includes the latest racing technology.